With the help of a state loan approved Wednesday, a $20 million redevelopment project on Lancaster city’s east side soon will begin. The far-reaching mixed-use project is dubbed Tobacco Avenue, after the obscure alley that forms its western boundary. 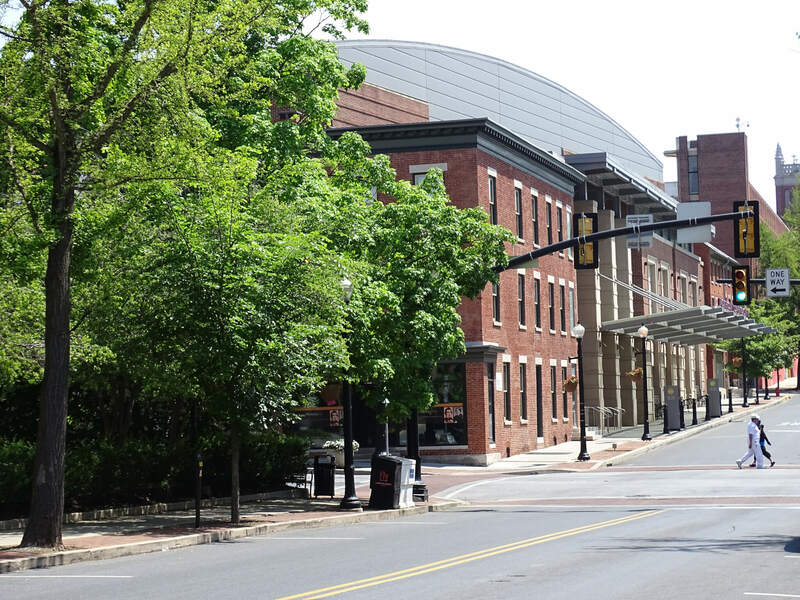 As was announced last year, the venture will revitalize a drab property that’s also bounded by North Plum, East Fulton and East Walnut streets. “We’re really going to clean up that whole corner and make it more vibrant,” said Patrick Egan, one of the developers. Creating Tobacco Avenue will start with making new facilities for Lancaster-based Security Partners and its sister firm, Select Security; Egan is founder and CEO of both. This 12-month first phase will redevelop a 22,000-square-foot former foundry building at 240 N. Plum St. A groundbreaking ceremony will be held by the end of the month. “We’ve already gutted the interior. It’s unbelievably, historically beautiful,” said Egan. Fueling the $4.7 million phase will be a $1.9 million loan from the Pennsylvania Industrial Development Authority, as well as a loan from PeoplesBank. The Lancaster-based nonprofit, EDC Finance, helped Egan obtain the PIDA loan. Security Partners provides round-the-clock monitoring of 250,000 alarms for 600 alarm dealers nationwide, including Select Security, which has about 70,000 customers. Moving into the redeveloped building will be a Security Partners’ monitoring station and Select Security’s corporate office, both now across the street at 241 N. Plum St. The building also will provide 21 indoor parking spaces. Phase two of Tobacco Avenue will redevelop a five-story former tobacco warehouse into a Select Security call center, now in West Lampeter Township, plus 32 upscale apartments. To start in June, this 12-month phase — being done by Egan and his brother Peter, president of general contractor Caldwell Heckles & Egan — carries a $6 million pricetag. Phase three, to start in the second half of 2019, will redevelop a building at North Plum and East Walnut streets into a restaurant and construct an adjoining use to be announced. Originally, this phase was to consist of a restaurant plus 38 adjoining apartments, constructed along East Walnut Street, opposite Lancaster Brewing Co.
“We think we have a better idea,” said Patrick Egan. Patrick Egan said this $9 million phase will be done by him and one or two partners to be determined. The Egan brothers bought the 1.7-acre Tobacco Avenue site in 2015 for $1.75 million. The site’s previous occupant was Weinstein Supply — a wholesaler of plumbing, heating and air conditioning products and materials — which moved to Ranck Mill Road in 2017.